Got an event? Learn how to 33X your audience reach instantly! Here is the deal! We learnt it by ourselves and IT WORKED! We went from 2 views to 4,000 views per video going live. >>> FACEBOOK LIVE posts works much better than a regular text post! It is a FACT. And I mean pro made / TV-style LIVE broadcasting. Yes, you got it – multicam with live editing process. 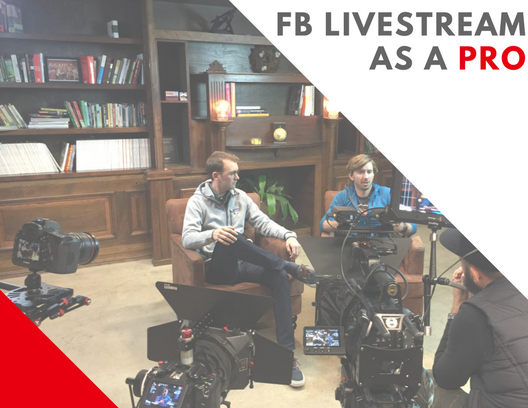 Facebook pushes automatically a LIVE video streaming post to ALL your followers. Presumably your FB page has 1,000 followers, your 5 top speakers (partners) have also around the same number of followers. You GO LIVE with your event, speakers share it among their networks and Voila! you have 5,000 additional views already! 5,000 VS. 150 attendees in the room! It’s 33X your audience reach! Let your audience know what are you up to, engage them online with your awesome speakers and guests, let them comment and provide you with the instant feedback, you may want event to conduct a live Q&A session. LEVEARGE all TIME and MONEY you’ve spent already for organizing your event. · more SPOTLIGHT on your brand and company! Look, people want to have fresh and immediate information, and the streaming the content from the event is the KEY! NOW or never! Take an extra mile for your brand visibility and bring more value to your guests and speakers. Both of you deserve it. PS: The offer is limited. For The Founders Space Partners only. Not happy with the result?? Money refund guaranteed. No questions asked. Drop your your contacts below and we will revert to you very fast!